Ishwar Chandra Vidyasagar was a great and noble philosopher, educator and a social reformer who inspired people to live high quality life. His contribution to modern society of India was so immense that the present society too remains indebted to him. He has a multi-faceted personality that was a reflection of the teaching of his parents, especially his mother who had a great influence in his life. Though he belonged to a very impoverished family, his mother made sure that he received high quality education and progressed academically so that he could be of use to the society at large. All her endeavors were fruitful as Ishwar Chandra Vidyasagar grew up to be one of the most successful and learned men in India, which inspired Sanskrit College where he studied to honour him the title “vidyasagar” meaning “ocean of learning or knowledge”. Ishwar Chandra Vidyasagar is known as the “Father of modern Bengal” where he started and created educational opportunities for all, including girls, who were not considered worthy of being educated then. According to Ishwar Chandra, “The hall mark of education is humility and not pride” and that is why Ishwar Chandra lived a simple and humble life throughout but his education and knowledge made him a great thinker and philosopher. His efforts to spread education among the poor was one of the most honorable deeds he strived for to ensure that India did not remain behind any other developed country due to lack of education. His belief that “education liberates” led him to work towards spreading education ”pathshaalas” – learning centers or schools at the primary level in villages. Proceeding from here, he went on to become the creator of one of the greatest universities of modern India, the prestigious Calcutta University. Ishwar Chandra Vidyasagar realized that if he wanted to see a liberated and more developed India he must get rid of the two main evils that existed in society then, which were poverty and the low status of women both of which could be eradicated by education. On being appointed as the Inspector of Schools by the then government, he wanted to know more about the condition of the country and traveled throughout the country. This was a long journey of realization for him as he witnessed the dismal and poor condition of the villages he traveled to. His extreme shock and distress at what he saw in the villages made him act hastily and in a shot span of just two months he was able to establish as many as 20 Model schools in different villages all over Bengal. His struggle to get women educated was part of his mission to ensure that his vision of “education liberates” would not be fulfilled. He was witness to a number of instances where women were oppressed and were treated with injustice. The unjust treatment was guided more by the false beliefs that existed in the Hindu culture then. He drowned himself in efforts to uplift the women of his land and in doing so he launched schools that were specifically for women. He started out with 30 schools for women which then increased gradually. His efforts to ensure that girls were given the education they needed included visiting each family in every village that had a daughter to impress upon the parents that their daughter too must be educated. Besides crusading for education for women, he also fought against child marriage and other social evil that existed in India then. 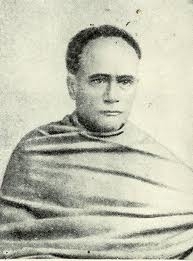 The personality of Ishwar Chandra Vidyasagar can be best understood from the words of Rabindranath Tagore who, while mourning the death of Vidyasagar said, “One wonders how God, in the process of producing forty million Bengalis, produced a man!"